Alexandra Bee Blog: Five on...Tuesday! We had a nice, low-key weekend! Bryce is preparing to take the Professional Engineer's exam this Friday, so it's crunch time for him. He spent a lot of time studying, which gave me some much needed down time. With the start of my new boss last week, things were a bit hectic and I never got around to posting my Five on Friday. That being said, I've decided to post a Five on TUESDAY here for ya today! 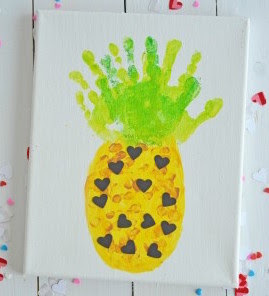 How stinkin' cute is this pineapple handprint craft that popped up on my Pinterest feed? If I was still teaching, I would definitely find an excuse for my kinders to make this before summer; and also think it could be adorable framed as home decor! Mother's Day IS right around the corner! I am definitely going to file this idea in my brain to do with babes of my own some day! Have you ever gone in search of a more affordable beauty product only to wind up falling for something even more pricey than what you originally used? Well, ladies, that just happened to me. For almost two years, I used this Kiehl's Line Reducing Concentrate under my Kiehl's Ultra Facial Cream, however it's a bit pricey in my opinion. When I last ran out, a few months ago, I decided to not replace it and see how my skin reacted. I've just been using the Ultra Facial Cream, which I absolutely love, but have noticed lately that my skin hasn't been quite as smooth and even. So I wound up on Nordstrom's website last week, searching for an anti-aging product with rave reviews that wouldn't break the bank (By the way, did you know you can search by "Skin Concern!?" How cool!) I bet you can guess what happened next. 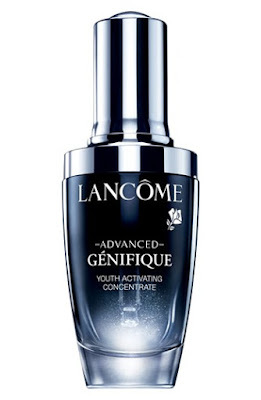 I found this Advanced Genifique Youth Activating Concentrate...and it's nearly double what the Kiehl's concentrate cost. BUT, how could I resist when it has a 4.8/5 star rating based on 454 reviews!!! Surely I must have found the fountain of youth! It arrived Friday and I've been using it under my Ultra Facial Cream since then and already can notice that my skin is a bit smoother to the touch. It also has more of a liquid/gel consistency and you only use one drop when applying, so I am thinking it will last far longer than the Kiehl's which is more of a lotion. I will be sure to report back after I've been using it longer. I also was in the market for new eye cream, and wound up with the Lancome Progres Eye Creme, which also has rave reviews. My mom used Lancome products for years. Have any of y'all had a good experience with their skincare line? I read on Emily's blog last week that one of her April goals is to eat a salad for dinner at least once a week. I loved this idea! It seems so simple, but is a great way to cut some calories during the week. Now that warmer weather is mostly here, I tend to enjoy eating light more, rather than craving hearty, warm comfort food as in the winter months. 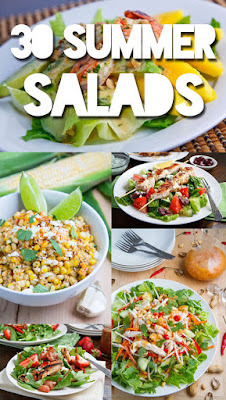 I think we're going to adopt her goal as our own, and I think this 30 Summer Salads list will provide great inspiration. How adorable is this pom pom clutch? I've been eyeing it for weeks now and don't know why I haven't taken the plunge...especially considering it's only $40! I can just imagine pairing it with white jeans and sky high wedges while sipping pina coladas by the beach! And last, but not least, I wanted to share a new blog with you! My friend Meg (who, funny story, I met because she was a blog follower and reached out to help me network during my job search) recently started her very own blog with a girlfriend called Let's Share a Dish....and she's rocking it! 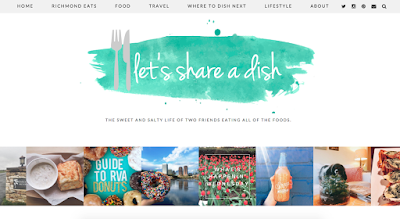 Richmond readers especially should check it out, as the main focus is Richmond eats! Since I started following along, my list of restaurants to try is constantly expanding. For example, I am dying to do a picnic dinner one night soon, and I learned in this post that the local Garnett's Cafe will pack your take out order in a picnic basket, upon request! Spring bucket list item!? I think so! They also are mixing in some travel and lifestyle posts, though too, so anyone would enjoy it! Go check out their blog and let them know I sent ya! What a fun craft, looks super easy peasy. And those salads look delicious! Aww I want to try that pineapple craft - so cute!!! Thanks for the shout out! Good luck with eating salads - one week in and I have done good. I am even being more intentional with my lunch and usually choosing a salad to help. You will definitely have to share any salad recipes you like! 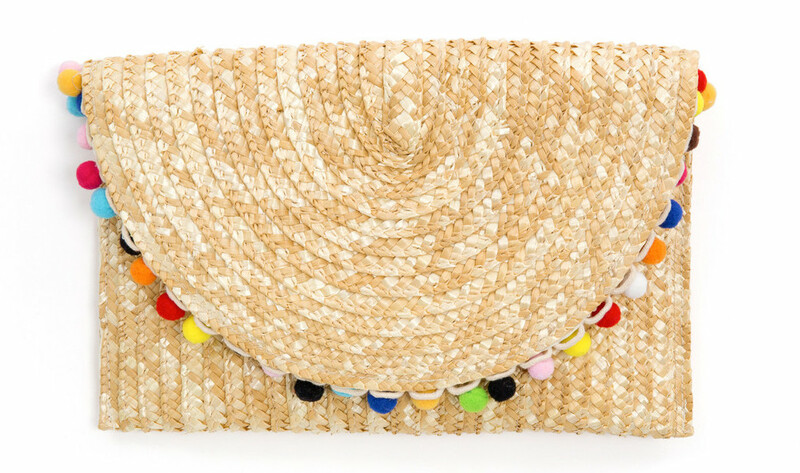 Love that pom clutch - just screams summer. 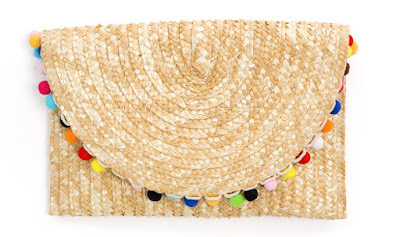 I love that pom pom clutch -it's the perfect "neutral" for summer since it has all the colors! I will totally check out Meg's blog, what a good name ;) I also need to share that pineapple handprint with my Charleston friends who have kids - adorable! I used to teach Kindy, also!! That pineapple print is TOO MUCH! Love it!! I love that pineapple craft and will have to do that with my baby in a year or two! Also, I love all the salad ideas! I swear we're the same person sometimes! I've been researching skincare for awhile now and just can't commit to something because my current skincare is just way too expensive. Definitely checking out your Lancome finds. Also just sent Ryan that pineapple craft for Mothers Day :). That pineapple craft is the cutest thing ever - I'd definitely like to make that with a future little one.